The city hopes to drive economic development with the development of existing and new regional air routes, as well as new international routes. 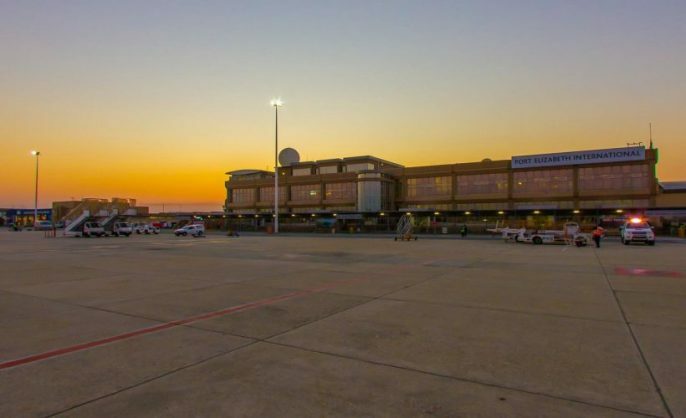 The Port Elizabeth International Airport is in for some significant changes after the Airports Company South Africa (Acsa) and the Nelson Mandela Bay Municipality signed a memorandum of understanding today to enhance air service connectivity between national gateways and the city. A first for Nelson Mandela Mandela Bay, the city is taking its cue from Cape Town’s successful air strategy. The city hopes to drive economic development with the development of existing and new regional routes. Long-term plans include the development of international routes and the expansion of the runway. Speaking at a press conference today, NMB mayor Athol Trollip said air strategy was part of the metro’s efforts to compete on a global level. Trollip said Nelson Mandela Bay was one of the easiest cities to do business in, with the potential to be more than just a departure and arrival site. “From an international airport and two international ports – our Coega, Port of Ngqura [are] probably two of the most modern developments in that field in South African and the old Port Elizabeth harbour are within seven to 20 minutes of this airport. I think few other competitive airports in the world can boast that type of accessibility,” said Trollip. Member of the mayoral committee (MMC) for economic development, Andrew Whitfield said the access project would take on a three phase approach. Phase one would include the scoping of key new and existing routes at national, regional and intercontinental level while the second phase would involve analysis of potential markets, the identification of potential airline partners, research and development for the airlift strategy and a three year implementation plan for the establishment of new routes linking Port Elizabeth International Airport. Whitfield said that the third phase would require the implementation of the identified route opportunities. He said that the initiative had been a year in the making and the metro wanted to align its plans and development with ACSA’s. “I believe that this project is a catalytic game changer. It is bringing around the table key stakeholders to ensure that there is alignment from a tourism and business point of view, ACSA from their own business perspective,” he said. CEO of Nelson Mandela Bay Tourism, Mandlakazi Skefile said that key to unlocking tourism opportunities was accessibility and making it easier for people to connect. The Nelson Mandela Bay Business Chamber has also come on board the initiative as a stakeholder.